Knock was first introduced in LG G2 as a convenient way to turn the smartphone on and off by tapping twice on the display since the power button was located on the back of the phone. Then Knock was featured in a tablet for the first time with the LG G Pad 8.3 followed by the G Flex curved smartphone which also shared the rear button design of the G2. The reaction of audiences to this new feature was so positive that a version for LG’s best-selling L SeriesII was developed to offer the feature to as many customers as possible. 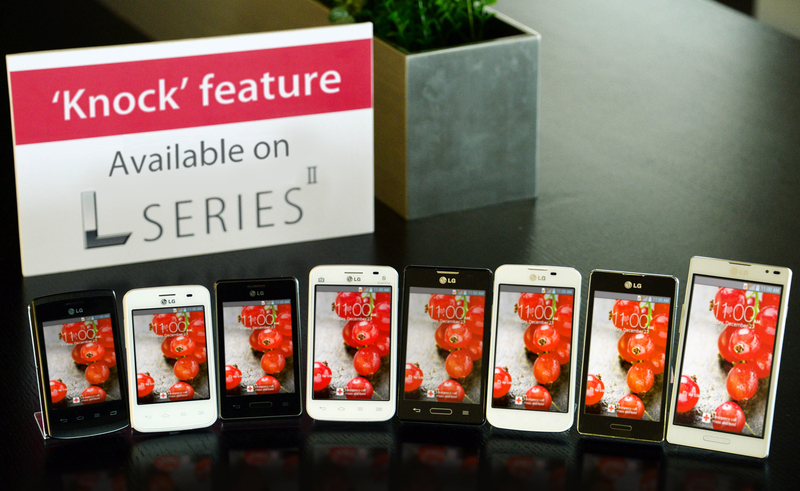 1Availability and specific models to receive the Knock upgrade to vary by region and operator.